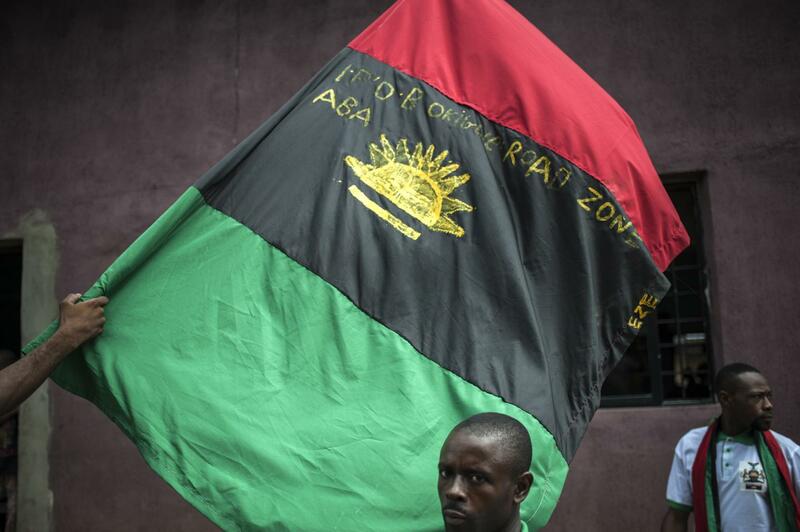 The Indigenous People of Biafra (IPOB), yesterday said no amount of joint security meetings or intimidation would make it jettison the proposed sit-at-home planned for Friday next week. Reacting to a press statement by the Commissioner of Police, Anambra State, Garba Umar, IPOB said such joint security meeting was not needed in Igboland, asking security agencies to channel their strategies to the North where there were security challenges. Umar, had, in a press briefing after a closed-door meeting of high powered security operatives that included the army, police, civil defence, immigration, Department of State Services (DSS), among others at the police headquarters in Awka, said that IPOB remained an illegal organisation, hence, their sit-at-home order would not be tolerated. “IPOB is an illegal organisation. We are therefore appealing to members of the public, that on no account should they be intimidated or harassed into succumbing to the threats of IPOB. The group plans to embark on sit-at-home on September 14, 2018, but, security agencies are ready for any eventuality. “We urge members of the public to go about their lawful businesses as they will be adequately protected. The issue of calling for a referendum on the 8th of this month or thereabout and the September 14 sit-at- home order by IPOB will not be tolerated.”he warned. But, in a statement yesterday by IPOB’s Media and Publicity Secretary, Emma Powerful, the group said: “The report of a supposed joint security meeting in Awka, is reaffirmation of the strategic naivety plaguing the country’s security apparatus, because these security meetings should be held in the terror ravaged North, where it would no doubt serve a more useful purpose. “Boko Haram and Fulani herdsmen were created by northerners, therefore, a northern police commissioner in Anambra State planning to unleash state terrorism on IPOB, is not only misplaced, but counterproductive. What we are witnessing with these supposed ‘security’ announcements is an attempt to intimidate and subdue the East into submission. “We must remind security agencies in Nigeria, especially their henchman in Awka, that the attempt made by an Arewa army to conquer and occupy Biafraland many centuries ago failed woefully. They never recorded one military success against our indigenous populations. If our fathers were not intimidated into submission then, this generation of IPOB will not be intimidated into submission now.